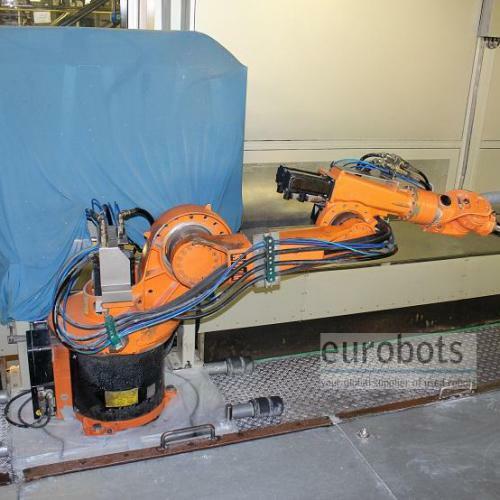 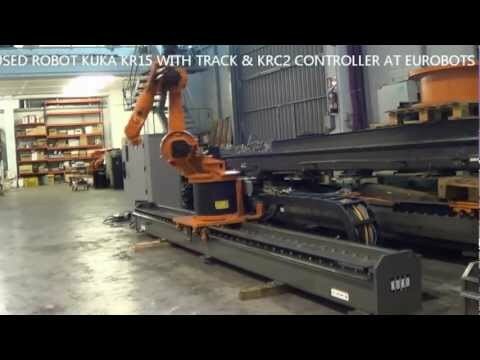 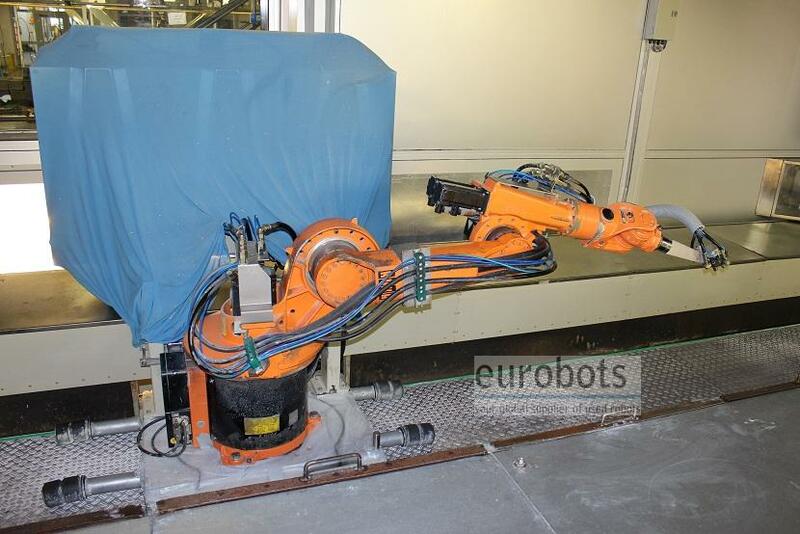 6 axis industrial robot, Kuka KR15/2 on a 7 axis model KL 250/2 linear track, with nominal hubs running from 3 to 5 meters. 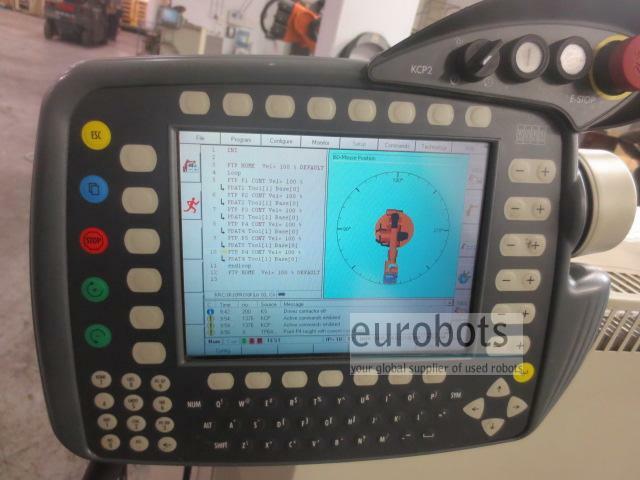 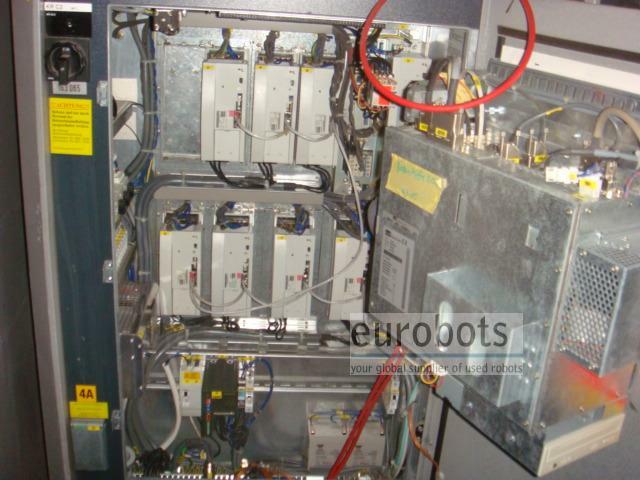 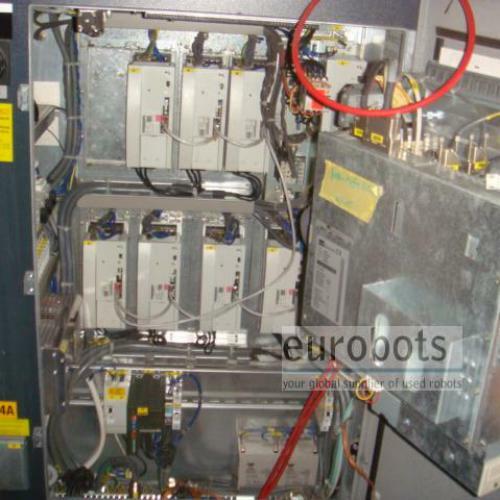 Equipped with the KRC2 controller which adds a 7 servocontrolled axis for the linear unit. 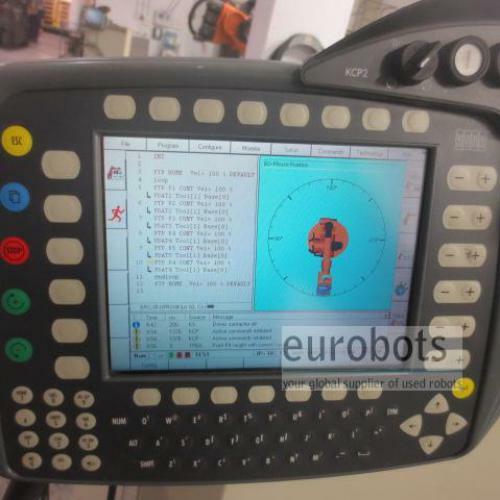 This accesory makes the KR15 a suitable unit for machine tending and welding of large parts.